What more could a true Sherlock fan want than a book full of "Sherlock" stories by some of the best writers on the current scene. [b:A Study in Sherlock: Stories inspired by the Holmes canon|10866398|A Study in Sherlock Stories inspired by the Holmes canon|Laurie R. King|http://d.gr-assets.com/books/1320565528s/10866398.jpg|15781597] is just such a book. It is edited by [a:Laurie R. King|6760|Laurie R. King|http://d.gr-assets.com/authors/1314242901p2/6760.jpg] of the Mary Russell series fame. Ms. King seems the perfect person to such a book, since she is the author of the Mary Russell books, a series that features Sherlock Holmes as one of the main characters. 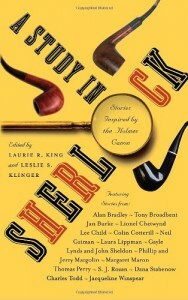 What she has put together in this book is a number of stories, mostly written in the same style that [a:Arthur Conan Doyle|2448|Arthur Conan Doyle|http://d.gr-assets.com/authors/1289836561p2/2448.jpg] used when writing the original Sherlock Holmes serial. One thing that really drew me to this book was the writers that Ms. King was able to get to join in the effort. I was excited to see stories by such authors as [a:Lee Child|5091|Lee Child|http://d.gr-assets.com/authors/1205263586p2/5091.jpg], [a:Neil Gaiman|1221698|Neil Gaiman|http://d.gr-assets.com/authors/1234150163p2/1221698.jpg], [a:S.J. Rozan|414457|S.J. Rozan|http://d.gr-assets.com/authors/1236395351p2/414457.jpg], [a:Laura Lippman|60459|Laura Lippman|http://d.gr-assets.com/authors/1193766292p2/60459.jpg], and [a:Jacqueline Winspear|5023|Jacqueline Winspear|http://d.gr-assets.com/authors/1272389408p2/5023.jpg]. I do have to say, some of the stories were better than others, and some of them followed the Holmes canon much more closely than others, but all of them were enjoyable. Even the ones that did not really follow Doyle's writing style were quite good and worth the read. 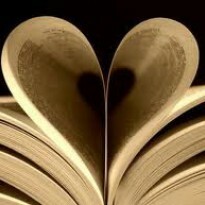 For example, The Mysterious Case of the Unwritten Short Story.